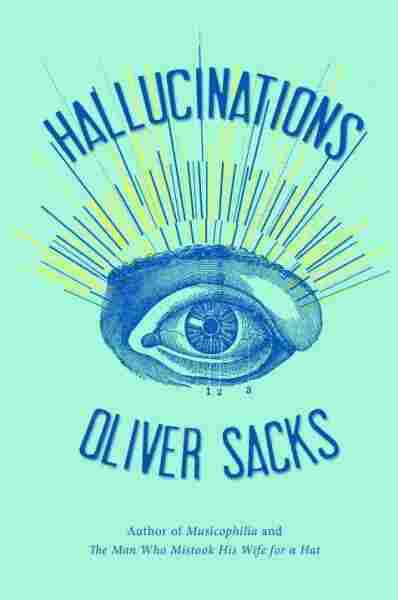 Interview: Oliver Sacks, Author Of 'Hallucinations' The famed neurologist talks to Fresh Air about how grief, trauma, brain injury, medications and neurological disorders can trigger hallucinations — and about his personal experimentation with hallucinogenic drugs in the 1960s. In Oliver Sacks' book The Mind's Eye, the neurologist included an interesting footnote in a chapter about losing vision in one eye because of cancer that said: "In the '60s, during a period of experimenting with large doses of amphetamines, I experienced a different sort of vivid mental imagery." He expands on this footnote in his new book, Hallucinations, where he writes about various types of hallucinations — visions triggered by grief, brain injury, migraines, medications and neurological disorders. One chapter of the new book deals with altered states and Sacks' personal experimentation with hallucinogenic and mind-altering drugs in the '60s. He says the first time he tried marijuana, it induced fascinating perceptual distortion. He was looking at his hand, and it appeared to be retreating from him, yet getting larger and larger. Sacks tells Fresh Air's Terry Gross that he has always been fascinated with hallucinations — from reading about Pip's hallucination of Miss Havisham in Charles Dickens' Great Expectations to witnessing hallucinations of every sort as a medical student and doctor. He had a personal interest in the phenomenon, he explains, because his brother was a schizophrenic — and "would talk with his hallucinations." Sacks has also had his share of non-induced hallucinations. One day while mountain climbing, he experienced an auditory hallucination after an injury that tore most of his thigh muscle and dislocated his knee. His first impulse was to go to sleep — but then he heard a voice that he didn't recognize yet trusted. 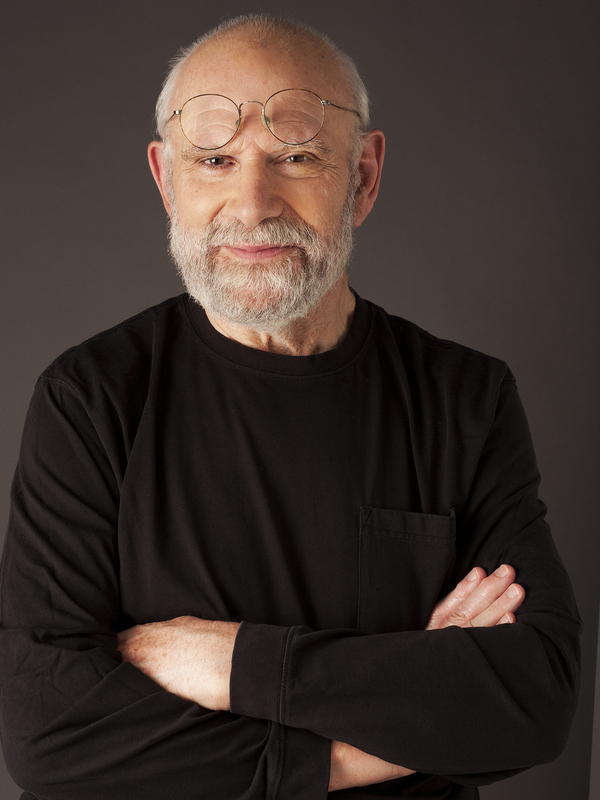 Oliver Sacks is a physician, author and professor of neurology at NYU School of Medicine. He also frequently contributes to The New Yorker.
" 'No, that would be death,' " he recalls it saying. " 'Go on. You've got to keep going. Find a pace you can keep up and keep it up.' And this was a very clear, commanding voice. It was a life voice, and it was not to be disobeyed." Neurologically, Sacks speculates that this type of auditory hallucination is something that announces itself in extremity, and is "the ultimate safeguard, some power or propensity which has been built into the structure of the mind, the emotions," and is not heard by most people in their lives. Sacks notes that the medicalization of hallucinations really only occurred in the 19th century — and that subsequent to that, there was much more anxiety, secrecy and shame about hallucinations. "I think hallucinations need to be discussed," he says. "There are all sorts of hallucinations, and then many sorts which are OK, like the ones I think which most of us have in bed at night before we fall asleep, when we can see all sorts of patterns or faces and scenes." With the ability to visualize the brain through cutting-edge medical technologies, Sacks believes, the scientist's sense of the brain's complexity has been increased; it's now possible to see exactly what's going on in the brain while people are hallucinating. "I had been reading about the color indigo, how it had been introduced into the spectrum by [Isaac] Newton rather late, and it seemed no two people quite agreed as to what indigo was, and I thought I would like to have an experience of indigo. And I built up a sort of pharmacological launchpad with amphetamines and LSD, and a little cannabis on top of that, and when I was really stoned I said, 'I want to see indigo now.' And as if thrown by a paintbrush, a huge pear-shaped blob of the purest indigo appeared on the wall. "Again it had this luminous, numinous quality; I leaped toward it in a sort of ecstasy. I thought, 'This is the color of heaven.' ... I thought maybe this is not a color which actually exists on the Earth, or maybe it used to exist or no longer exists. All this went through my mind in 4 or 5 seconds, and then the blob disappeared, giving me a strong sense of loss and heartbrokenness, and I was haunted a little bit when I came down, wondering whether indigo did exist in the real world. "I would turn over little stones. I once went to a museum to look at azurite, a copper mineral which is maybe the nearest [to] indigo, but that was disappointing. I did in fact have that experience again, but when I had it the second time, it was not with a drug, it was with music — and I think music can take one to the heights in a way comparable with drugs." "With any hallucinations, if you can do functional brain imagery while they're going on, you will find that the parts of the brain usually involved in seeing or hearing — in perception — have become super active by themselves. And this is an autonomous activity; this does not happen with imagination. But hallucination, in a way, simulates perception, and the perceptual parts of the brain become active. ... There's obviously a very, very strong passionate feeling of love and loss with bereavement hallucinations, and I think intense emotion of any sort can produce a hallucination." "I usually get the zigzag, but I may also see lattice patterns, like tessellations; sometimes these lattice patterns seem to cover people's faces or a piece of paper I'm writing on. I mostly get complex geometrical patterns; I've never actually seen ... images with a migraine, although on at least on two occasions, I've had a smell — in particular a smell of hot buttered toast — with a strong sense that I was about 3 years old, being put in a high chair, and about to be given hot buttered toast. A sort of olfactory hallucination often goes along with recollection in that sort of way. "The first time I got that, I was in hospital and I went searching for the toast. The second time, I was driving on the Bronx River Parkway, where there was obviously no toast to be had." "There are all sorts of complex geometrical patterns, very symmetrical, some of them looking like the finest doily. ... Patterns like this tend to appear in migraine, but they may also appear with fever. They also appear with various drugs. They may also be seen as one is falling asleep, and one can't help comparing them with various forms of ornamental art and cave art, and wondering whether individuals or cultures have been inspired by some of these patterns which are built into the nervous system."